Do you know how the world works and are you conscious of what you are doing in it and how it works? I try not to buy products that emit to the destruction of the o-zone layer. You are a 100% conscious human being who is fully aware of the world and what it needs to work. You recognise all the problems that the planet is going through and you consciously try to make an effort to change your small habits to help. You try to travel locally, use public transport, buy 0 plastic and probably work at a charity. Help is your middle name and thank gosh this planet has people like you in it! You live in your own little phone bubble and you have no sight of the planet. You are a true capitalist and believe in the universe being revolved around you. Many people are like this but we hope this quiz has raised you to think about your actions and start making some small changes. 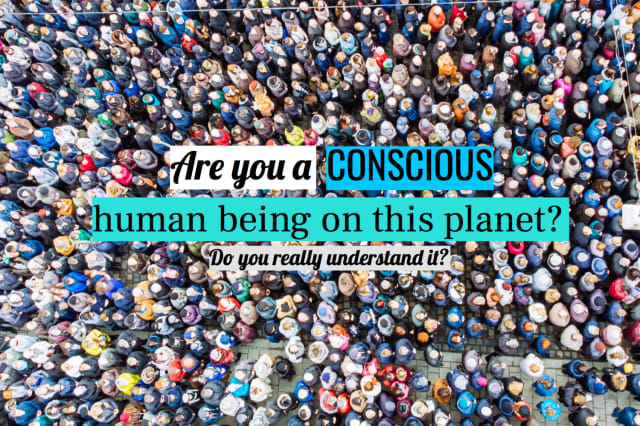 You are a 50% conscious human being and this is what makes you a pretty good human on this planet. You recognise waste and consumerism but you are still a slight victim to it. We know this isn't your fault but at least you are trying to make small changes. Well done!